Heads of Conference of Presidents of Major American Jewish Organizations denounce Rep. Ilhan Omar’s anti-Semitic tweets. Arthur Stark, Chairman and Malcolm Hoenlein, Executive Vice Chairman/CEO of the Conference of Presidents of Major American Jewish Organizations, on Monday denounced Rep. Ilhan Omar’s (D-MN) anti-Semitic Twitter posts while welcoming House Speaker Nancy Pelosi’s statement calling on Omar to apologize. “We welcome Speaker Pelosi’s statement in response to Rep. Ilhan Omar’s anti-Semitic and bigoted Twitter comments. 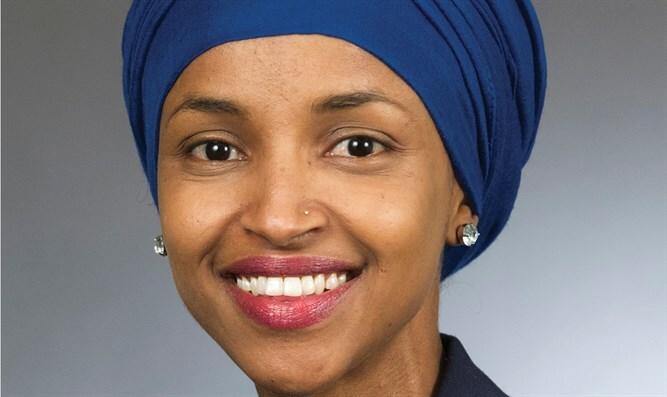 In the latest of a series of offensive tweets, she said, when referring to members of Congress who support Israel, ‘It’s all about the Benjamins baby,’ and then attacked pro-Israel efforts in derogatory terms, including accusing pro-Israel organizations of buying the support of members of Congress. As much as this is offensive to the Jewish community and pro-Israel Americans, it is an offense to all members of Congress, suggesting that their positions on issues are available for purchase,” said Stark and Hoenlein in a statement. “Both parties must have a policy of zero tolerance for intolerance. We hope there will be added vigilance to call out, isolate, and sanction those who appeal to the base instincts of anti-Semitism, as with racism and bigotry of all kinds,” continued Stark and Hoenlein. “We also hope that the Democratic members of Congress will join their Republican counterparts in passing anti-BDS legislation. BDS is part of a vile campaign to delegitimize Israel, deny its right to exist, and deny Jews the rights accorded to all other people. The sharp rise in anti-Semitic assaults in the United States on campus and in communities- whether from extremists on the left or right- or other sources requires clear and unambiguous determination by America’s leaders on the federal, state and local level, law enforcement, judiciary, educational authorities, and influential members of every sector,” they concluded. Omar earlier on Monday apologized for the tweets that were condemned by both parties as anti-Semitic. The National Council of Young Israel (NCYI) denounced Omar and urged Pelosi and House Democratic leaders to strip her of her committee assignments.